If you don't have a boat of your own or you couldn't bring your boat, don't worry! 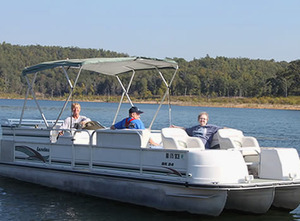 We have two rental boats that all of our guests can rent for the day or week. 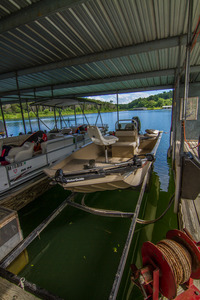 If you brought your own boat, every cottage comes with one free stall at our 12-stall lighted boat dock.